Technology. Science. Politics. Geek. Etc. I originally posted this as a comment on Facebook to a post by someone who tried out Windows 8 and didn’t like it. Unsurprisingly, I have opinions on this. I have also added some additional context in italics throughout the post. The problem with Windows recently has been twofold: 1) computers have become ubiquitous, and therefore, the lowest common denominator of users has gotten lower and lower. 2) When the “average” user today is a lot dumber than the “average” user 10 or 15 years ago, and MS creates focus groups for features and UI, you wind up with a lot of people who have no prior context for MS/Windows UI and perhaps find things like the Office Ribbon and Metro (Windows 8’s new UI) to be more intuitive. I predict that Microsoft’s mobile and desktop OSes will fork again after this iteration. Windows 8 is not something I can see being widely adopted in stuffy, enterprise environments (and like it or not, that’s still their primary customer base). This will become evident, and they will correct course. Internet blackout post-mortem: Who still supports SOPA/PIPA? Who went dark? Did it help? Hillary Lipko is a digital media communications consultant, technology advocate, and twice-graduate from Georgia Tech. 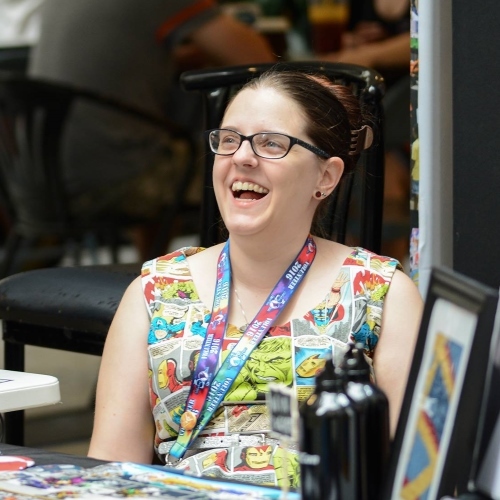 When she’s not up to her elbows in blogs, analytics, bug reports, and style guides, she can be found running fan conventions, enjoying a good beer, or sharing her deepest secrets with her pet Betta fish. The Frustrated Bunny is licensed under a Creative Commons Attribution-ShareAlike 4.0 International License.